I agree. As I’ve worked through the Romans volume in the Teach the Text (TTT) series, by C. Marvin Pate, I’ve appreciated the way it balances “the best of biblical scholarship” with the actual end product of the sermon in view. TTT has a fantastic accompanying Website. “Big Idea” at the head of each passage. This is not to be confused with “big idea” preaching, as this commentary’s “big idea” tends to stay within the world and era of the biblical text. A “Key Themes” sidebar. This expands a bit on the “big idea” in bullet-point format to draw out key points from a given passage. “Understanding the Text.” This is the meat of the commentary, and covers literary context, outline and structure, historical background, theology, and interpretation. “Teaching the Text.” Here Pate offers guidance in how one could preach and/or teach the text, with an eye specifically to application. Pate suggests what sermons/sermon topics come to mind for him in a given passage. More technical or scholarly commentaries tend not to include this step. “Illustrating the Text.” This feels like the added bonus section. Having a topic in mind is just a first step. Culling from history, literature, art, the social sciences, and more, Pate gives ideas for how the preacher or teacher could help make the sermon or lesson come alive via illustration. The full-color photographs throughout the text are of high quality, and help connect the reader visually to the ancient world. There are also “Additional Insights” throughout the commentary, that more fully develop themes like “The Backgrounds of Christian Baptism,” “Faith and Law in Paul,” and others. Paul therefore writes Romans to defend his gospel of the grace of God through Christ by arguing that it is rooted in the Old Testament (Rom. 2-5), providing the disclaimer that it is not antinomian in ethic (God’s grace is not a license to sin [so Rom. 6-8]), and holding out a future for Israel (Rom. 9-11). Not all will agree with Pate’s view of “Romans as Paul’s official doctrinal statement,” but, then again, many will. I was wishing the introduction had given more attention to Paul’s theme of a justification by faith that is decidedly pan-ethnic. Pate does talk about “the end-time conversion of the nations,” but there is also a sense in which Paul is interested in multiethnic justification (where all are saved by faith, whether Jew or Gentile) now. Fortunately the body of the commentary does address this theme in places (e.g., in Rom. 3:21-26–“So Paul’s point is that God offers justification equitably to all”). Pate is able to interpret from multiple vantage points, synthesizing material across centuries that will benefit preachers in their sermon preparation. He moves from lexical analysis (Greek is transliterated) to 1st century historical background to practical theology in a fairly seamless manner. The illustrations are on point, too. He points out, for example, in Romans 13:13-14, that Augustine’s conversion story included meditation on these verses. The same unit includes an illustration involving Jean Valjean and Les Mis. Movie illustrations and hymn quotations are particularly present throughout, though preachers will also want to use their own, original illustrations, too. The series claims to be “an essential commentary for pastors.” If and as pastoral budgets permit, I’d echo the sentiment and recommend this series as a worthy bookshelf addition. More TTT volumes are on the way, including a posthumous Luke volume by the blessed R.T. France. Lord willing, as I continue to preach through Luke, I’ll review France’s volume in the future. 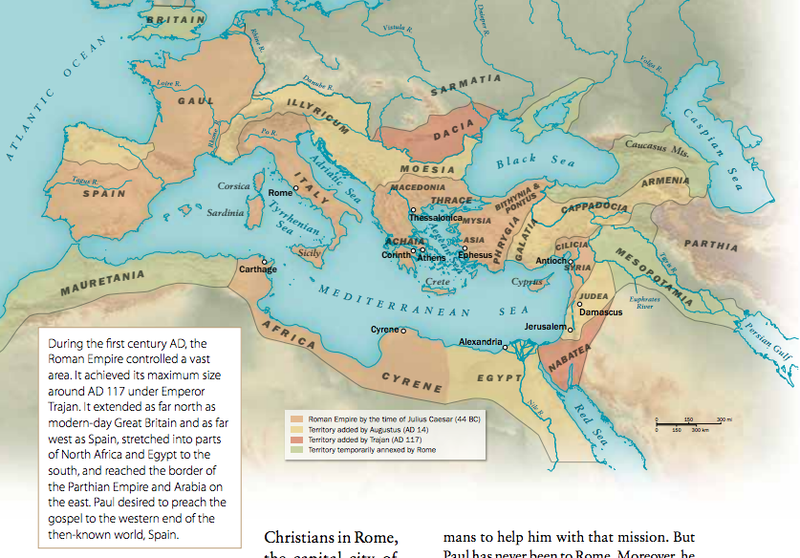 A full-color pdf sample of Romans (including the introduction and first passage) is here. Thanks to Baker Publishing for the review copy of Romans. Its Baker product page is here, and it is for sale at Amazon here.